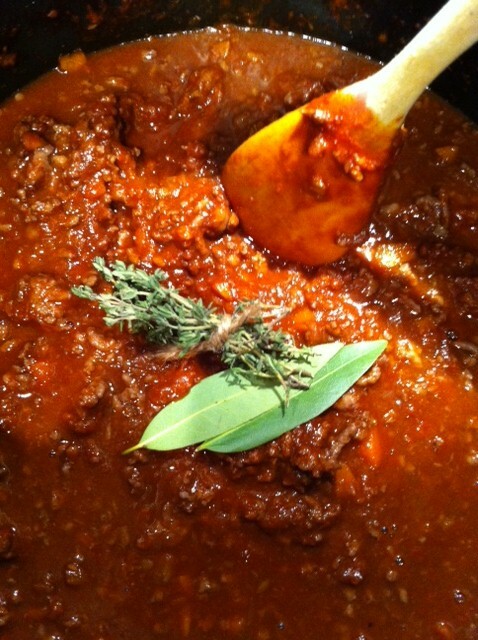 Spicy Bolognese Sauce that will change your life! There are two parts to this post…why? Because this Bolognese Sauce can be used for anything. I am using it for Lasagna but unless you want to start preparing your sauce at 11am, I suggest you make it a two day adventure as well. Only gets better overnight! 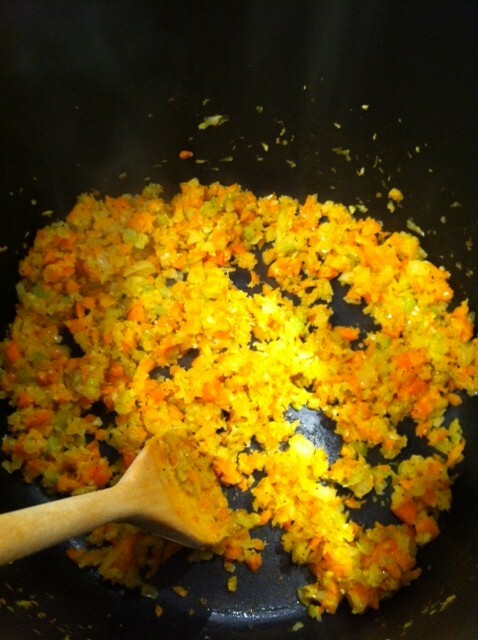 In a food processor, pulse the onion, carrots, celery and garlic until finely chopped. In a large pot, coat the bottom with oil and heat on medium-high until nice and hot…then add the vegetables. Season them with the salt, pepper, chili flakes and oregano and cook until they are evenly brown…this will take about 15-20 minutes. If you have a dutch oven, this would work well too…the idea is to brown, not mash or mix as the veggies can get soggy. It all tastes the same in the end, but just an FYI. Add the beef and sausage and season again with salt and pepper (chili flakes again if you wish). Make sure to brown the beef well while cooking for another 15 minutes. Add the tomato paste, mixing thoroughly for about 5 minutes and then add the red wine. 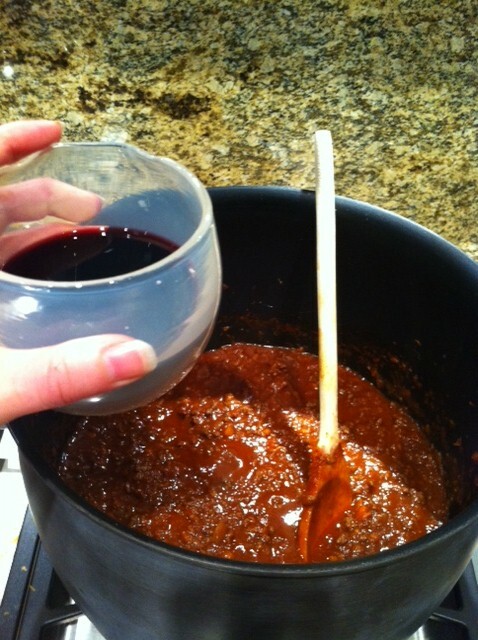 Let the red wine reduce for another 5 minutes while mixing and then add about an inch of water. Toss in the bay leaves and thyme, then stir on a low simmer. For about 3-4 hours you will want to stir the sauce from time to time and adding water as it cooks off. Never add more than 2 cups at a time and check for seasonings often. After wine reduces, add water, bay leaves and thyme! 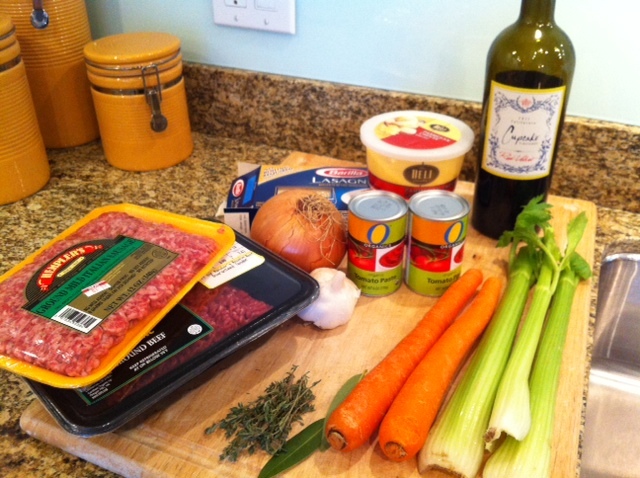 Spicing Bolognese Lasagna WARNING…this recipe is truly a two day process but is so worth the time, energy and love spent. Originally adopted from Smitten and modified to my liking, there is not a person on this earth who will not think about this dish at least three times the following week after having it. MMM…It is sinful, simple and delicious.